1 photograph : tintype in paper frame ; plate 5 x 4 cm, frame 10 x 6 cm. Please use the digital image in the online catalog to preserve the original photograph. 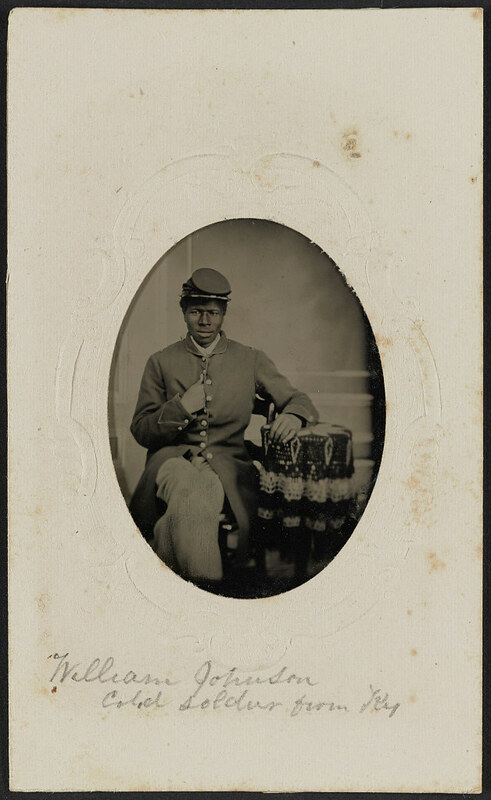 Collection of the Library of Congress and the National Museum of African American History & Culture. Purchased by the Library of Congress and the National Museum of African American History and Culture; Swann Galleries; 2017. Forms part of the Emily Howland photograph album, p. 35. United States–History–Civil War, 1861-1865–Military personnel.